Reports that President Cyril Ramaphosa is considering pardoning AbaThembu king, Buyelekhaya Dalindyebo, must be seen for what it is – an attempt to buy votes in light of the ANC’s dwindling prospects at the polls. The granting of a presidential pardon is a very sensitive matter and must be applied on a rational basis. The DA will keep a close eye on this matter. That the President is considering releasing a man convicted of assault, arson, kidnapping and defeating the ends of justice at this moment in time smacks of politicking and an abuse of the presidential prerogative for narrow political gain. Furthermore, any reduction in King Dalindyebo’s sentence should be considered by a court of law and not granted by the President or the Minister of Justice. The Executive has no power to grant a reduction in a sentence. To do so would be a serious breach of the separation of powers as set out in the Constitution and cannot stand. Should President Ramaphosa pardon King Dalindyebo (or attempt to reduce his sentence), it would be yet another indication that not much has changed since Zuma left. 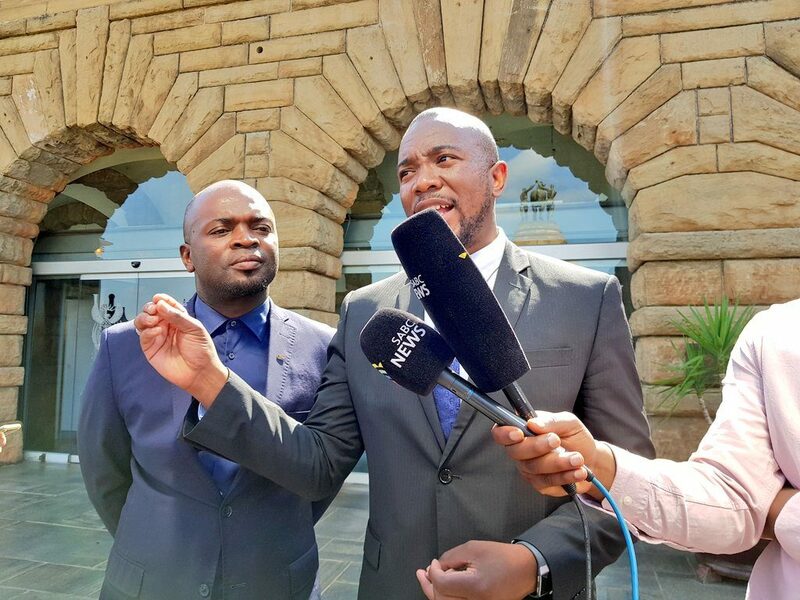 The SABC is misleading the South African public and protecting President Cyril Ramaphosa from having to debate DA Leader Mmusi Maimane on live television. 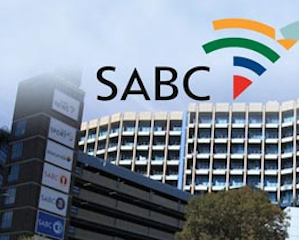 In a statement, the SABC has “put it on record that it has no plans to host a debate between [Ramaphosa] and [Maimane]” and that it is aware that one of its elections productions The Big Debate “has approached leaders of political parties to participate in a debate”. 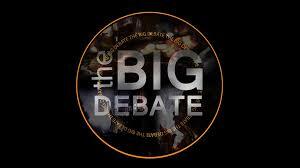 We can confirm that Mr. Maimane has indeed received an invite from the producers of The Big Debate, but now it is clear the public broadcaster has bowed to pressure from the ANC to not push ahead with the planned debate. Its own statement is contradictory and is a smokescreen to protect President Ramaphosa and the ANC. They know he has nothing to offer voters and won’t be able to stand the public humiliation of having to account for a rotten ANC. 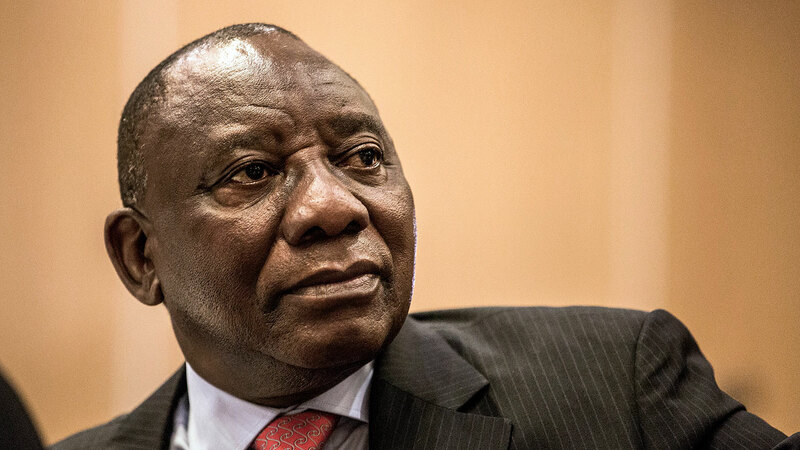 We have challenged Ramaphosa to a presidential debate countless times, but he has, like all previous ANC presidents, refused to stand up to public scrutiny. Now, he is getting the SABC to do his bidding and sadly the SABC is allowing its strings to be pulled. Today I viewed President Cyril Ramaphosa’s Declaration of Interests for the 2018/19 financial year since his election in February 2018. Once a year, the President is required by the Executive Ethics Code to disclose the details of all his financial interests to the Secretary of Cabinet, Dr Cassius Lubisi. I can confirm that President Ramaphosa has failed to declare the clear conflict of interest that exists between himself, his son Andile, and the corrupt systems management company Bosasa. It is our view that President Ramaphosa has misled his own Cabinet and in doing so breached the Executive Ethics Code. I will therefore approach the Public Protector to formally include this omission by the President in her ongoing investigation into what can only be described as insider trading between the Ramaphosas and Bosasa. 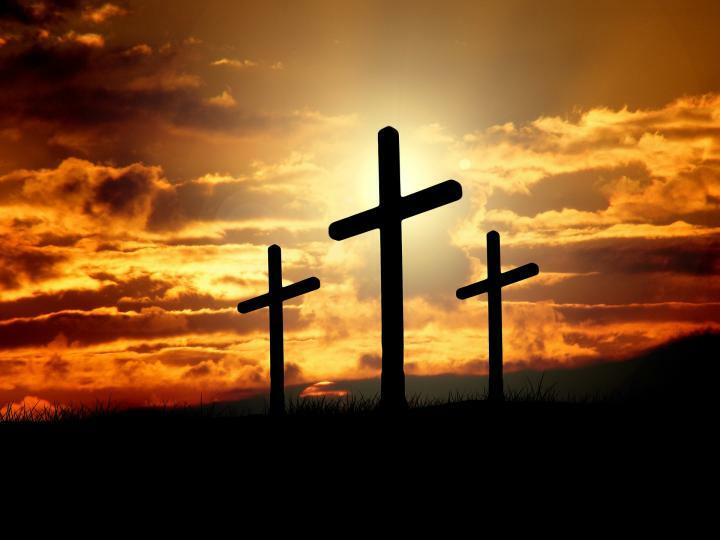 Section 2(3)(d) of the Executive Ethics Code is clear that Executive members may not “use their position or any information entrusted to them, to enrich themselves or improperly benefit any other person.” The Public Protector must investigate whether President Ramaphosa has indeed breached this section of the Executive Ethics Code. The conflict of interest in clear to see. In the lead up to Cyril Ramaphosa’s election as ANC President, Bosasa CEO Gavin Watson gave a R500 000 “donation” to Mr Ramaphosa’s campaign. Once Ramaphosa was elected, his son, Andile, earned at least R2 million rand from Bosasa for “strategic and financial advisory services” – emanating from a contractual agreement the President told Parliament he had seen. Moreover, one of his first acts as President was to appoint Arthur Fraser as the Director-General of Correctional Services. This allowed a man of with a questionable track record to oversee the adjudication of lucrative tenders in a government department that Bosasa continues to do much work for. From Bosasa to Eskom loan deals, Andile Ramaphosa is unduly benefitting due to the fact that his father happens to be the President. This is no different to former President Jacob Zuma’s son, Duduzane, and his dodgy business dealings that were in part facilitated by his father’s political connections. The DA will punish corruption with 15 years in prison, not reward it with another 5 years in the Presidency. South Africans have the power to bring this change at the ballot boxes on 8 May. The Democratic Alliance (DA) has received a complaint from the Independent Electoral Commission (IEC) in which the ANC Secretary General, Ace Magashule denies his party’s involvement in orchestrating violent and anarchic protests in a number of municipalities run by the DA. It is clear from a range of factors that the ANC is inciting violence in Alex and that they used the genuine concerns of the people to fight their own narrow political battles. The violent protests were nothing more than an diversion tactic by the ANC to draw attention away from its 25 years of empty promises and corruption. 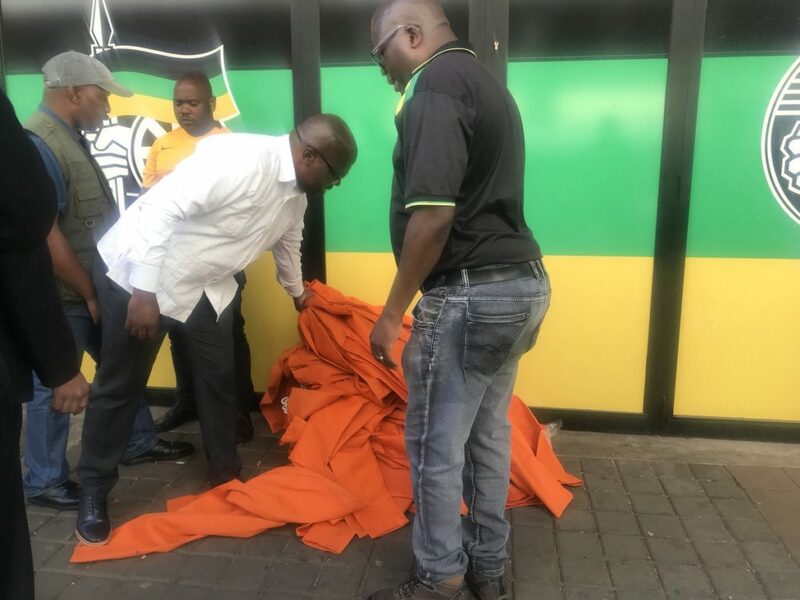 This complaint to the IEC will not take away from the concrete evidence the DA and the City of Johannesburg has uncovered regarding the ANC’s hand in the violent protests in DA-led municipalities. We have evidence that ANC officials were behind Alexandra shutdown and have subsequently lodged a complaint with the IEC. This is further strengthened by the fact that Mayor Herman Mashaba has established that the protests, were in part, led by the ANC ward councillor. The choice before South Africa is clear, vote for a party that shamelessly uses the genuine plight of poor people for its own narrow political benefits, or a party that will hold its leaders accountable regardless of who they are. Only the DA has a clear vision that will build One South Africa for All. 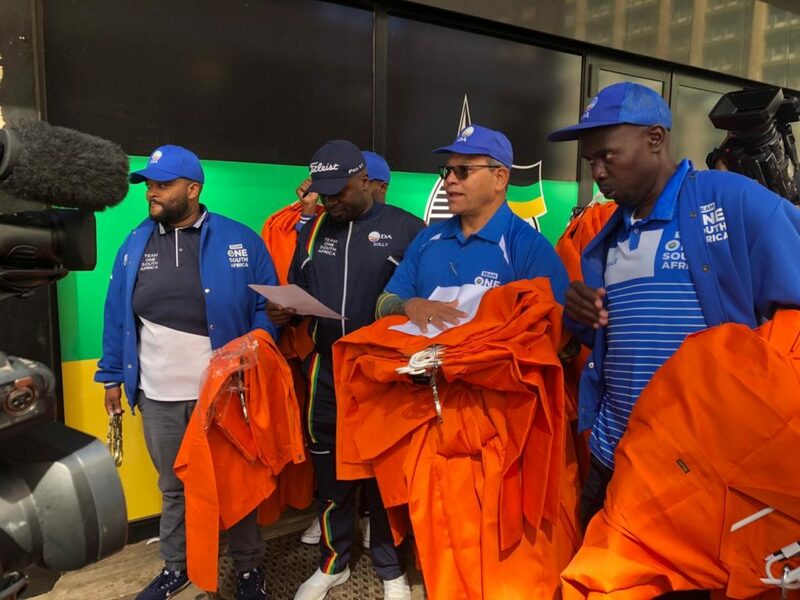 The Democratic Alliance (DA) will supplement the existing Independent Electoral Commission (IEC) complaint against the ANC for the Alex violence with City of Johannesburg Mayor, Herman Mashaba’s recent revelations on this matter. It has emerged that the ring-leaders of the Alex shutdown are directors of the Ditlodi Community Development Cooperative which was contracted to do community liaison work for the Alexandra Renewal Project. 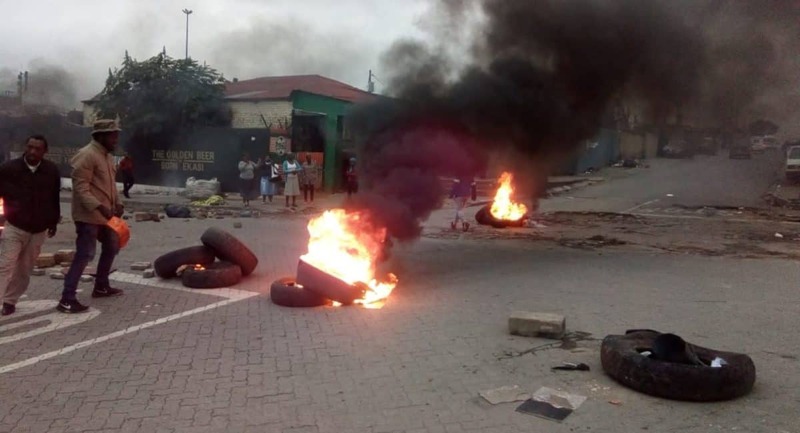 Coincidentally, following the cancellation of their contract by the Johannesburg Development Agency in February 2019 the very same directors of Ditlodi Community Development Cooperative are now behind the violent protests in Alexandra. What is clear is that these protests were born from the self-interests of a politically connected few and were not in the interest of the legitimate concerns of the people of Alexandra. Given their connection to the ANC, we are left to wonder if they were not instructed by the ANC. 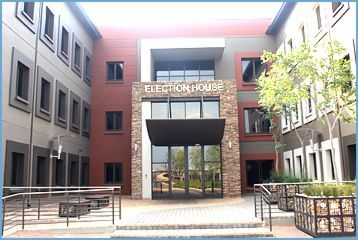 These revelations today require an urgent and immediate probe by the IEC. The Commission can no longer remain mum on the ANC’s hand in the violence and disorder which erupted in Alexandra. It is only a morally bankrupt organisation, such as the ANC, that would hijack the genuine concerns of the poor, who they have neglected for more than 25 years, for their dwindling political prospects. 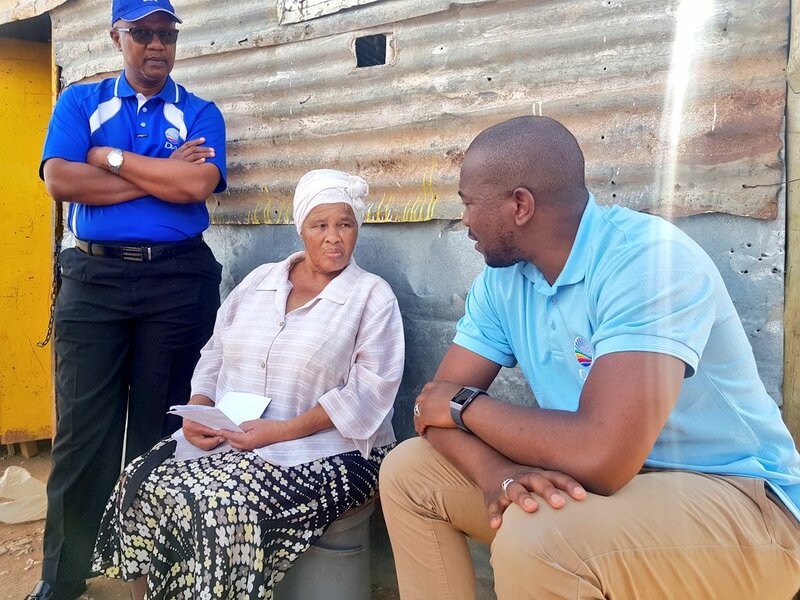 Unlike the previous corrupt ANC -administration, the current DA-led administration has prioritised the delivery of services to the people of Alex. While the ANC looted billions from the Alexandra Renewal Project, the DA is bringing change to Alexandra and other poor communities. 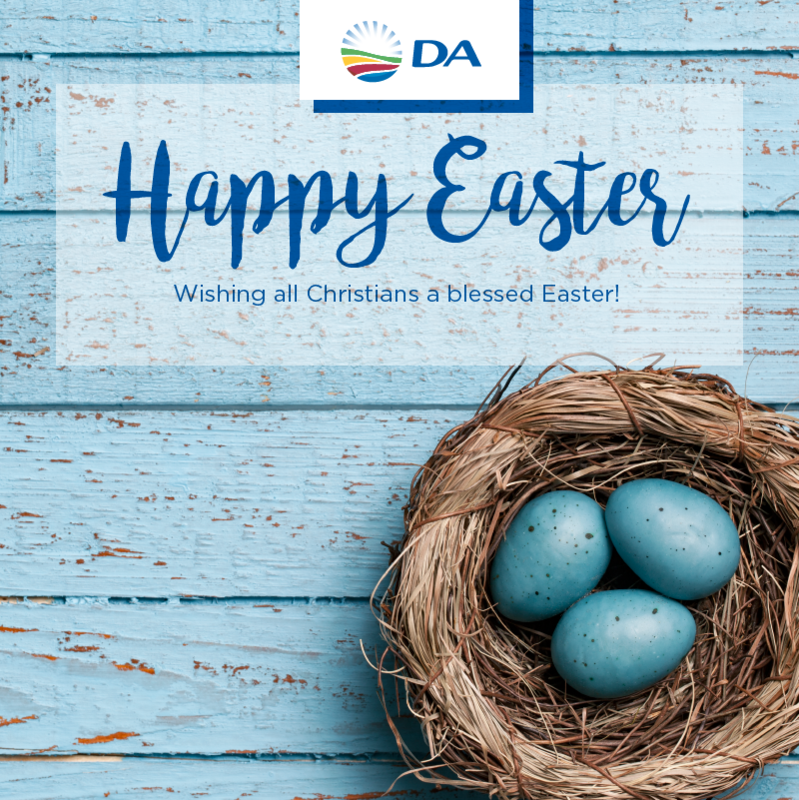 The DA is committed to building One South Africa for All, and our objective remains uplifting and empowering the people of Alexandra and other poor communities. The ANC has today confirmed that President Ramaphosa is running scared of debating DA Leader, Mmusi Maimane. Yesterday, the SABC’s Big Debate Show invited both Mmusi Maimane and Cyril Ramaphosa to a televised presidential debate on Sunday 28 April. 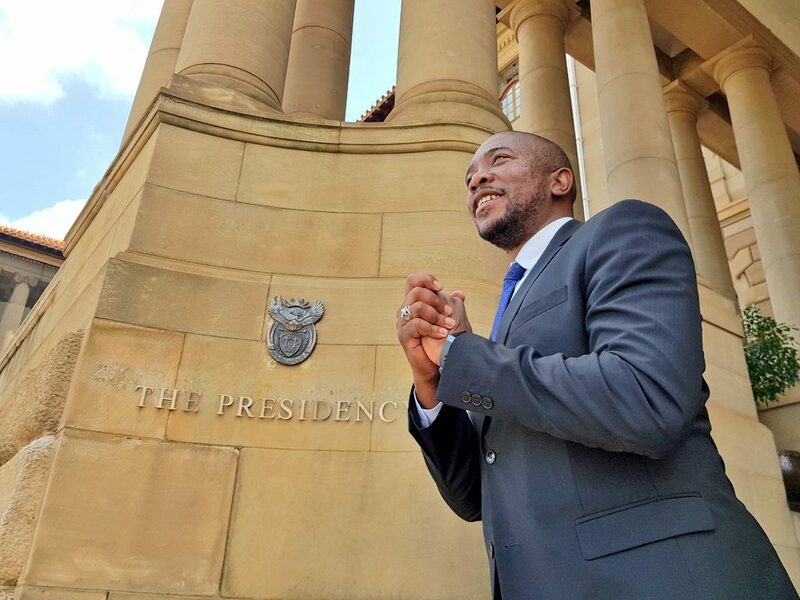 Mmusi Maimane has welcomed this great initiative and indicated that he was ready and looking forward to going head-to-head with the current President. 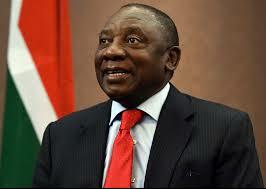 Today, the ANC has confirmed that Cyril Ramaphosa is afraid of facing up to the DA Leader. He has again confirmed more empty promises of transparency and accountability, just like his empty promises of acting against corruption. It has been 25 years since the last presidential debate in South Africa. Since then, the ANC has denied the people of South Africa a proper contest of ideas between its Presidential Candidate and DA Leaders. Cyril Ramaphosa’s retreat into the safety of Luthuli House confirms that he is no different from his predecessors. He is simply afraid of accounting for Marikana, Bosasagate and the ANC’s inability to create jobs. Only Mmusi Maimane and the DA can bring change that builds One South Africa for All and puts a job in every home. We look forward to bringing this change on 08 May. 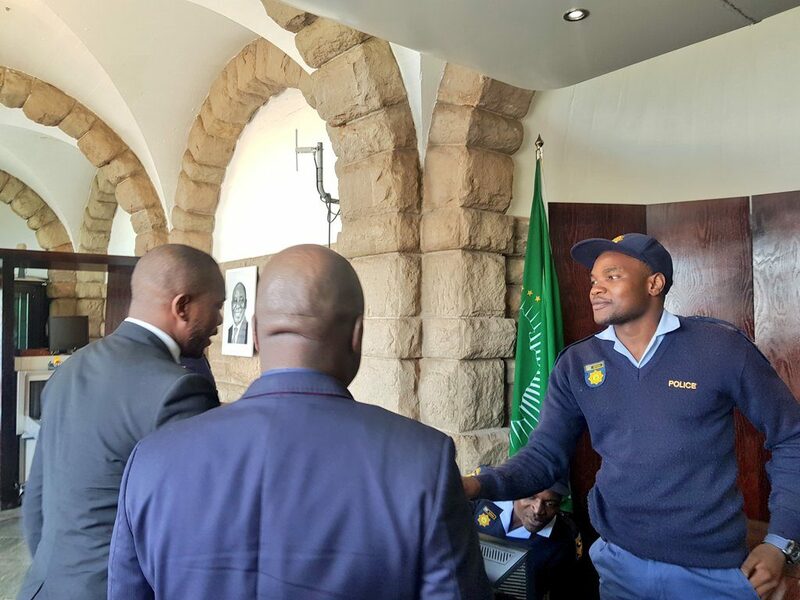 NToday the DA delivered the public’s objections to the ANC party lists to its front door, Luthuli House. Several candidates on the ANC’s list have been implicated in crimes ranging from corruption and maladministration, to sexual assault. As such, the DA created a website called Prison not Parliament, which provided citizens with the opportunity to object to the many rogue politicians on the ANC party lists. The DA can announce that we received over 500 000 objections from the people of South Africa to the failing ANC’s choice of candidates. These objections are proof that the people of South Africa are sick and tired of the criminals and thugs the ANC elects to represent them. It is for this very reason; the electorate will vote for change on Election Day because they know that the DA is a party of integrity which fights corruption. The ANC’s own Integrity Commission reportedly recommended the removal of, among others, Deputy President David Mabuza and Gwede Mantashe. Yet, Ace Magashule recently confirmed that the criminals will remain on their list. The ANC is beyond repair and redemption. Their lists show that they cannot reform, and Cyril Ramaphosa cannot bring change. 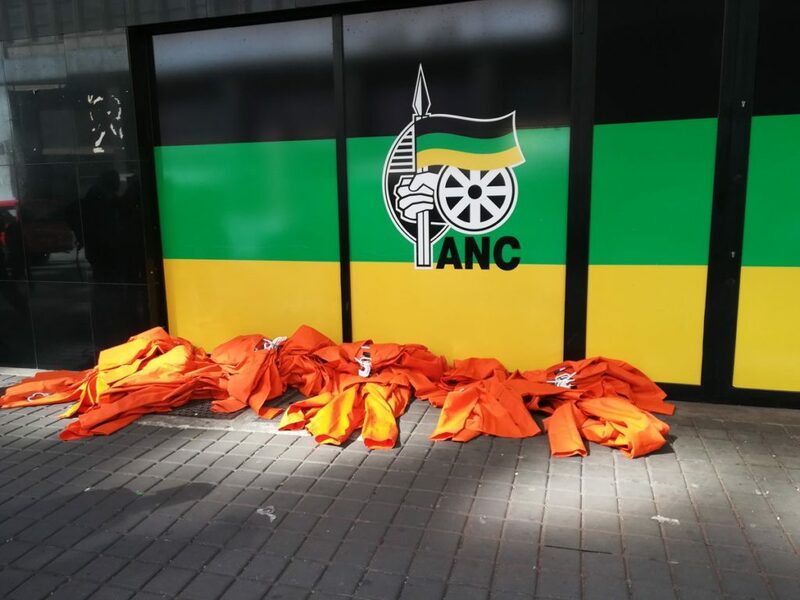 Today we delivered the half a million public objections to the ANC’s candidates, along with orange overalls and handcuffs, to symbolise that people like Mabuza and Mantashe, in our opinion, belong in Prison and not Parliament. These are people who have allegedly stolen money from citizens, while corrupting government and capturing the state. The ANC cannot be trusted to turn the country around with the same cast of characters who destroyed it in the first place. The DA is committed to building One South Africa for All, where we punish those who steal from the public by ensuring a 15 year jail sentence for anyone implicated in corruption. The only way the people of South Africa can ensure accountability is by voting for the DA. Only the DA can bring change that ends corruption.